The Used Book Sale is coming up — APRIL 20-21 at New Hampshire Estates and April 24 at Oak View — and we need YOUR HELP! FIRST, if you have gently used children’s books to DONATE, please drop them off at my house (9317 Sudbury Rd) or contact me for pick up. SECOND, please volunteer to help SORT BOOKS on Saturday April 18 at New Hampshire Estates. SSL Hours Available! See the “Book Sorting” sign-up link below. THIRD, please volunteer to help with CHECKOUT at New Hampshire Estates on Monday and Tuesday April 20-21, SETUP at Oak View Thursday April 23, and CHECKOUT at Oak View Friday April 24. See the “Sale Days” sign-up link below. FOURTH, we need help collecting extra boxes, and with fliers and posters — please contact me if you can help. 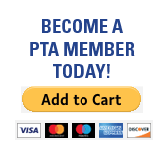 FIFTH — support the sale by sending money with your children to buy books!